Prague and the historical city center offers many attractions and a lot of exhibitions on different topics, but we want to suggest you today a special one, commemorating one of the lesser known episodes of First World War, namely the odyssey of the Jewish refugees within the Austro-Hungarian Empire. A new exhibition called The Orient in Bohemia? and hosted by the Robert Guttmann Gallery – Jewish museum of Prague tries to shed some light on the issue. The exhibition is organized in three small rooms. The first room frames the issue in the historical context. So we learn that as soon as the war began thousands of people took flight and for the first time in the modern history, national states were faced with the new problem of refugees. To deal with this emergency, during the first months of the war the Austrian Empire hurriedly built up barracks according to ethnical/national identities in order to accommodate, organize and control this crowd of people. Among them there were also the Jewish communities from Galicia and Bukovina (in what is now the western Ukraine), fleeing from their towns and villages occupied by the Russian Army. This latter had invaded the eastern territories of the double monarchy in Autumn 1614. The eastern Jewish population was gathered especially in different camps. For instance, that of Německý Brod (today Havlíčkův Brod) was originally inhabited by Italian and Istrian refugees, later reserved for Jewish refugees. Due to epidemic and poor conditions, the mortality was particularly high in it. Other camps were in Pohořelice, Kyjov and Mikulov. Small groups of Jewish refugees were also dispersed in villages and accommodated in dormitories or apartments, sharing the spaces and necessities with the local people, which resulted in frequent conflicts. The State provided basic support to those refugees, who were not able to manage; this implied however, that they were not allowed to move without permission and were strictly controlled. Civil committees and aid organisations were also active within the different ethnical groups to support the refugees, as well as the orphans. The second room – a very minimal space which recall a barrack of the camps – offers video and audio testimonies. The curator, Michal Frankl, told us that it was very hard to find out these video clips, dealing the most totality of documents gathered in the past decades almost exclusively with the memory of the Shoah. Three interviews were finally found out: we can so listen to and watch the videos of few elderly people who experienced the war during their childhoods in Galicia and Bukovina. The third room enables the visitor to perceive the intricate situation of this Jewish community. 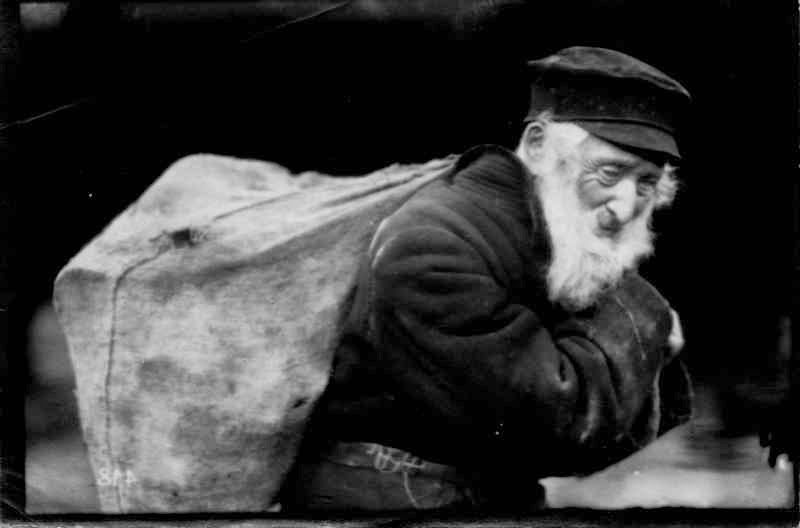 Jews started settling in Galicia and Bukovina in the 12th century, reaching close to one million on the eve of the Holocaust, although many of them emigrated at the beginning of the twentieth century, due to the poor conditions of the region. These eastern community were usually Yiddish-speaking Orthodox Jews. As they arrived in the camps and settled in the other regions of the Empire, not only the non-Jewish population, but also their same coreligionists saw them as exotic in their religious customs, clothing and language. For some integrated Jews, the strictly observant religious men with caftans and side curls were a symbol of the ghetto; for other they were a source of authentic Jewish national culture. “Difference” is in fact the key-word of this section, which shows through photos and newspaper illustrations, how the perception of Jewish difference became the subject of intense debate and contributed to the cliché and prejudices against the “Eastern communities”, regarded as non emancipated. Especially the photographs of refugees depict this sense of otherness, as if it was a source of attraction or even ethnographical fascination in documenting different ethnic or racial types. The encounter of the “Eastern” Jews with the local inhabitants stimulated a discussion about Jewish identity, but also stoked prejudices against their allegedly backward. The historical situation worsened the confrontation: due to the great storage of food and basic necessities, Jewish refugees – like other refugee groups – became the target of vicious press campaigns in which they were portrayed almost as criminals. As the documents showed in the last room prove, demands grew for their return home, particularly after the founding of Czechoslovakia. The hatred against the “Eastern” Jews was originally part of the growing nationalism, but played an important role also in the development of Cyzech anti-Semitism. This exhibition is not so huge, but it represents a really unique experience to learn more about another forgotten history of the Great War. It deserves therefore particular attention. If you are in Prague, don’t miss it. It runs till February 2015. Further information here.